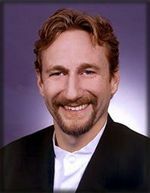 Brian Henson is ready to throw a few penguins. Henson is stepping down from his post as chairman of The Jim Henson Co. after nearly 12 years as the head of the company founded in 1955 by his late father, Jim Henson. On Thursday, Brian Henson said he has been thinking about stepping away from the management responsibilities at the company ever since it was acquired two years ago by the German media company EM.TV & Merchandising. "Since then, it's just been more and more clear to me that I want to focus 100% of my efforts on directing and producing movies and television," Henson said. Henson announced his decision to Henson Co. staffers Thursday in a companywide e-mail that also reiterated what he believes are the core values of the company that is home to Kermit the Frog and the rest of the Muppet clan. Last but not least on the list of Muppet maxims was, "When in doubt, throw penguins," which Henson cited as an example of the company's commitment to "never take itself too seriously and to always embrace a sense of humor." But, in fact, the Henson Co. does face serious questions about its future. EM.TV has been shopping for a new buyer for Henson for the past year, ever since EM.TV's stock price collapsed and legal investigations were instigated in Germany into its accounting and business practices. It's understood that the Henson Co. has drawn interest from the Walt Disney Co. -- which acquired Henson 12 years ago but then scrapped the deal after a long legal battle -- and AOL Time Warner, among others, but so far none has been willing to meet EM.TV's asking price of about $200 million. Sources indicated that Henson's resignation was not spurred by any imminent acquisition agreement, though Allen & Co., the investment bank handling the sale of Henson, is expected to solicit a new round of bids for the company within the next two weeks. There are indications that EM.TV's asking price may have eased to the $150 million-$175 million range, which could open the door to a management buyout of the company proposed by Henson president and CEO Charles Rivkin. Rivkin declined comment on the status of the sale process. In a statement regarding Henson's decision to step down, Rivkin called him "one of the most talented and creative individuals in our industry who has helped position the Jim Henson Co. as a leading family entertainment brand." Indeed, Henson literally grew up at the Jim Henson Co., working alongside his father from the time he was 6 years old. He took over as president and CEO after Jim Henson's death in May 1990, then was named chairman and CEO in 1995 when Rivkin was promoted to president and chief operating officer. When the company was sold to EM.TV in February 2000, Rivkin took on the CEO title. Brian Henson will remain an executive producer on the Henson-produced Sci-Fi Channel series Farscape and the upcoming Muppet holiday movie in the works for NBC. He's also developing two feature projects through Jim Henson Pictures, which is headed by his sister, Lisa Henson.